Join a class of 5 women as they learn to journey into the 3 Spirit Worlds. Meet your Power Animals and Teachers, and learn to retrieve a Power Animal for someone else. The recordings are from an actual class that met on our Zoom conference system. You can see each person, and learn from them as they share their real time experiences. 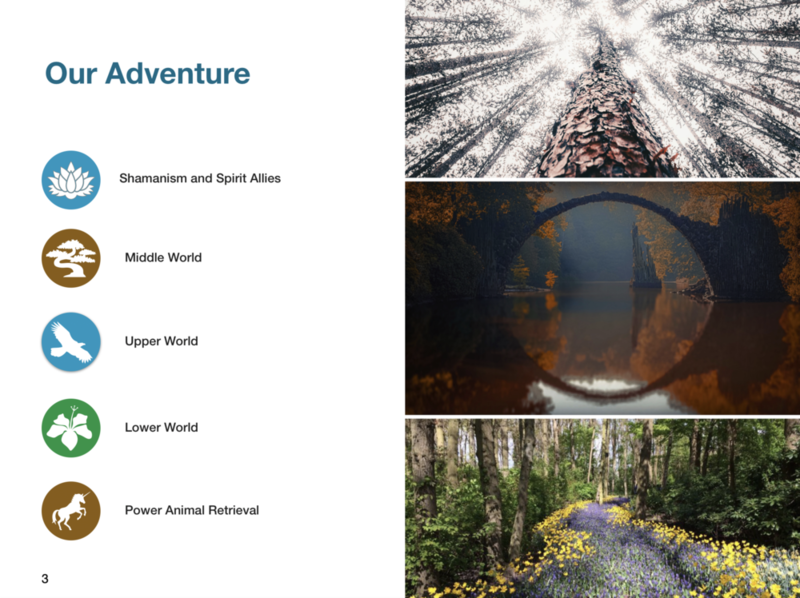 Journeying is really quite easy, especially when you are in the group energy of the circle - and even though this is a recording, in shamanic world, the circle is still vibrant and current. This class will prepare you to join our monthly Journey Circle, take all our classes, and enter the 9 Month Intensive. You are on your way! This 3 part series gives you the foundation to enter all of SpiritHealer School’s classes, including our 9 month intensive. Confidently travel with your Spirit Guides on Shamanic Journeys into the Spirit Realms. Engage in the mysteries through your own personal shamanic experience! Shamanic journeying will change your world. Three 90 minute video webinar recordings. Journey along with the circle. As they share their journey experiences, you will get context for understanding your own journeys. You are not alone! 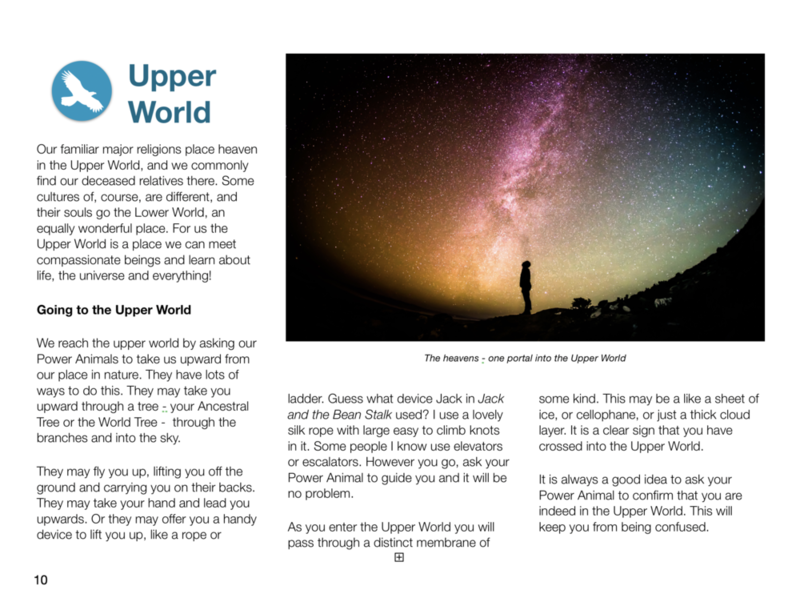 Beautiful PDF book with detailed written descriptions. MP3 of drumming that you can use for all your personal journey experiences.